This past Tuesday night, January 5, the Big Apple Circus big top played host to the Celebration of American Circus. 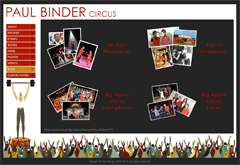 A mixture of performance and awards ceremony, the event presented by Circus Now and the Big Apple Circus, in association with Jonathan S. Cerullo and JSC Theatricals, honored four artists/organizations who have made significant contributions to Circus Arts in the United States. Here are the five honorees this year. 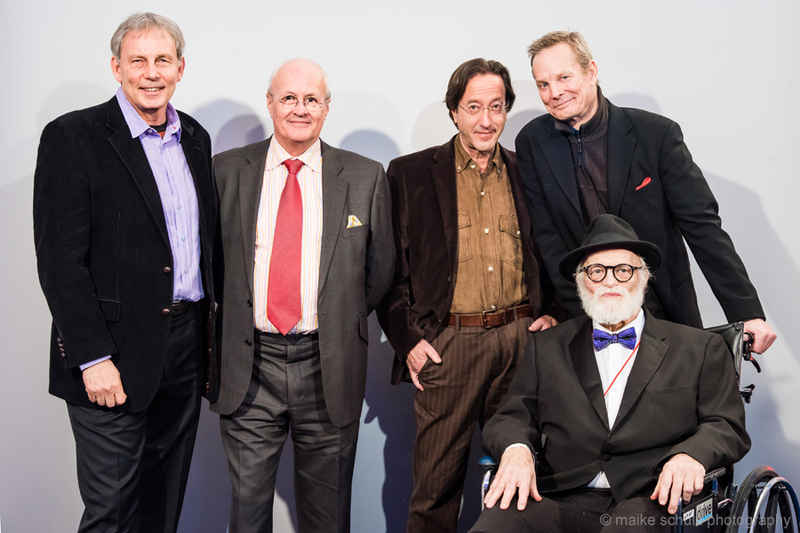 From left to right are Ed LeClair (Executive Director of Circus Smirkus), Dominique Jando (world circus historian and author), Rob Mermin (Founder of Circus Smirkus), Bill Irwin (clown/actor), and Hovey Burgess (Professor of Theatre and Circus Arts and Master Teacher at NYU TISCH School of the Arts). 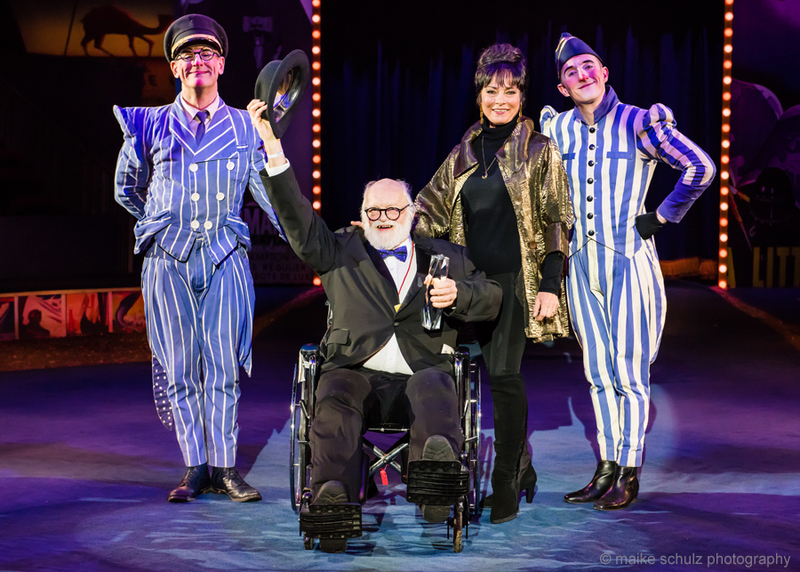 Circus Smirkus received the Community Impact Award, Dominique Jando the Elevating Circus Award, Bill Irwin the Evolving Circus Award, and Hovey Burgess the Lifetime Achievement Award. 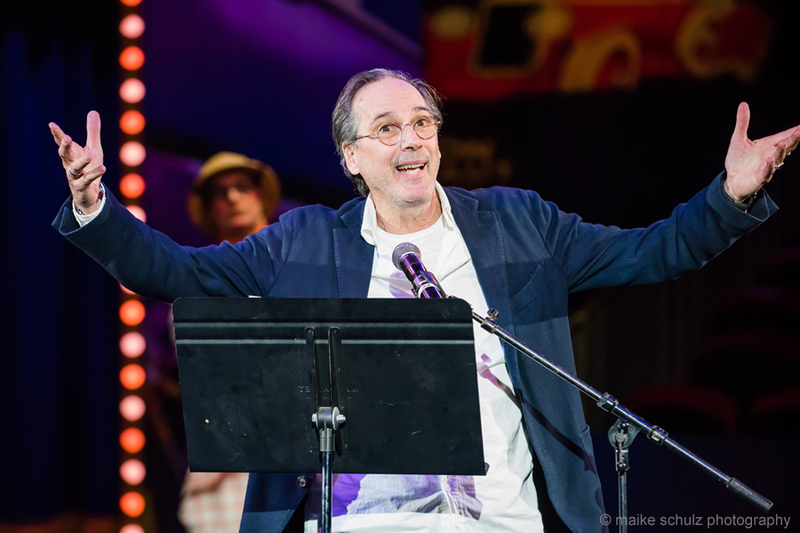 Below is David Shiner (actor/clown) who presented the award to Bill Irwin. 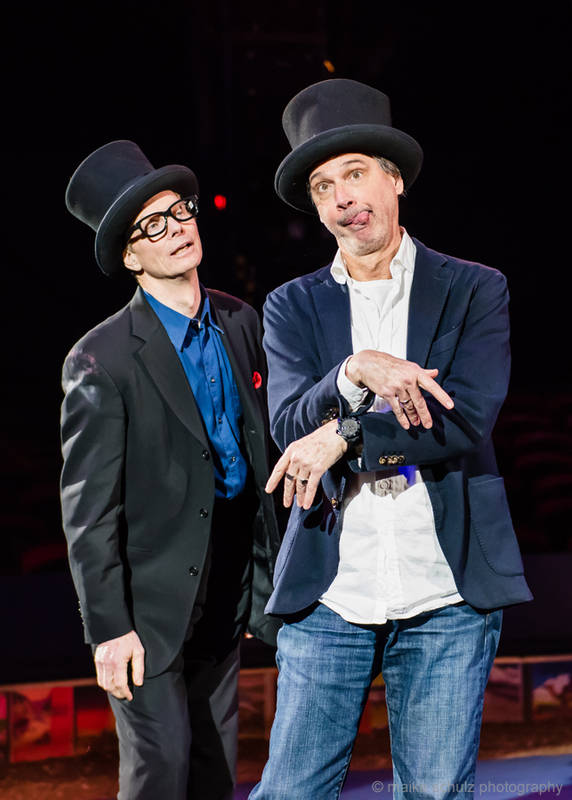 Bill and David are about to reopen their hilarious hit comedy show Old Hats at Signature Theatre on 42nd Street. 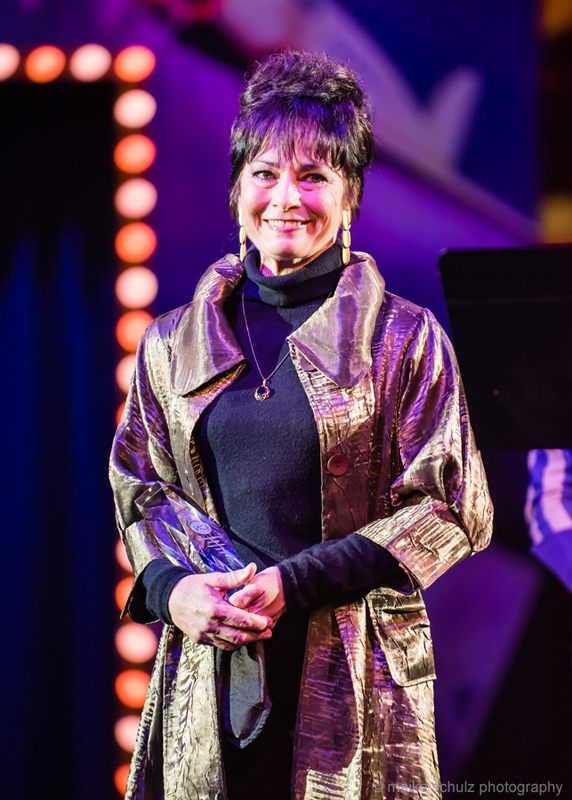 Below is the beautiful Dolly Jacobs (award-winning circus aerialist and Founder of Circus Sarasota) who presented the award to Hovey. Pictured below are the two together flanked by this year’s Big Apple Circus clowns, performed by Joel Jeske (left) and Brent McBeth (right). By the way, Hovey’s in a wheelchair because he fell down and broke his leg. 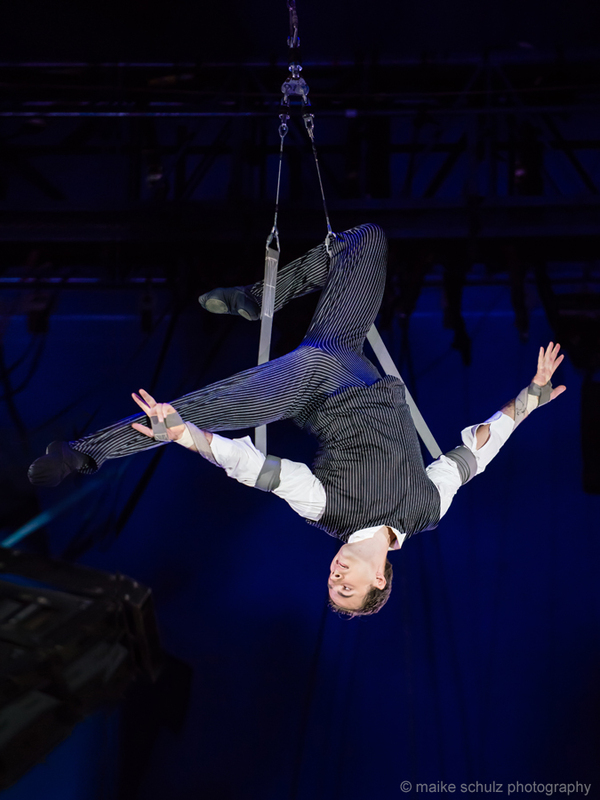 One of the featured performers at this year’s ceremony was aerialist Sergey Akimov, who is featured in this year’s show at the Big Apple Circus. “The Grand Tour” is the second time in the last six years that Sergey has performed with us. He actually grew up at the Big Apple Circus because his father and uncle, the Egorov Troupe, were performers there. He’s a wonderful and skilled artist. I’m hoping we will see the continuation of this event in the future. All photos by Maike Schulz.